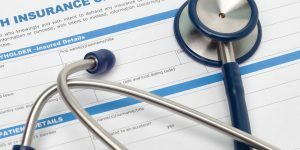 The health insurance companies routinely put attorneys on notice of their subrogration claims through a subrogation lien or claim letter. These letters outline exactly which medical payments the health insurance company is claiming a subrogation interest in and for what amounts. Throughout the handling of your case, your attorney should be aware of the amount of subrogation your health insurance company is claiming and whether all of the claimed subrogation is related to your underlying personal injury case. That way when your case resolves, your attorney can then negotiate a reduction of the health insurance company’s subrogation claim effectively. Here is how it works in a typical personal injury case: Let’s assume that a client gets in an automobile accident and has to go to the emergency room. The emergency room generates a bill for their services—let’s say they charge $10,000. Your health insurance company does not pay the full $10,000 but rather pays a portion to satisfy the entire bill—let’s say $100. Your health insurance company would then make a subrogation claim to be re-paid the $100 that it paid to satisfy the bill from your emergency room visit. Your attorney should be aware of the $100 subrogation payment and should work to reduce that amount as much as possible, which in turn, puts more money in your pocket from the settlement. Health insurance providers are aware that Alabama subscribes to the “common fund” doctrine, which requires that the third party asserting the subrogation claim, in the example above, your health insurance company, is required to pay a pro rata share of the attorney’s fees and expenses incurred in obtaining the settlement or judgement that allows the third party its right to reimbursement. In other words, in a personal injury context, the “common fund” doctrine requires health insurance companies to reduce their subrogation claims by the amount of attorney fees that you are paying your attorney. Subrogation is one of the many moving parts that can, and likely will, affect your personal injury settlement. The attorneys at Hollis Wright routinely handle subrogation claims stemming from personal injury claims. If you or a loved one has suffered a personal injury through no fault of your own, please contact the attorneys at Hollis Wright to see if you have a claim.